ShelShocked is a weekly podcast hosted by Sheldon Helms, and co-hosted by Marilin Colón. Each week, we bring you another one-hour program covering a topic in science, skepticism, atheism, or a related area. Feel free to listen below, and/or subscribe to us on iTunes or Stitcher, or by clicking the RSS feed link below. Introduction with Sheldon and Marilin discussing common myths about space and space exploration. An Interview with UFO researcher and investigator Robert Sheaffer. The Science Report discussing the growing movement of people who deny that man ever landed on the moon. And a Good News report about an unlikely participant in the recent satellite mission to Pluto. CLICK HERE to read a surprisingly complex website that claims no human has ever been in outer space. CLICK HERE for more information about UFO and skeptical claims investigator, Robert Sheaffer. 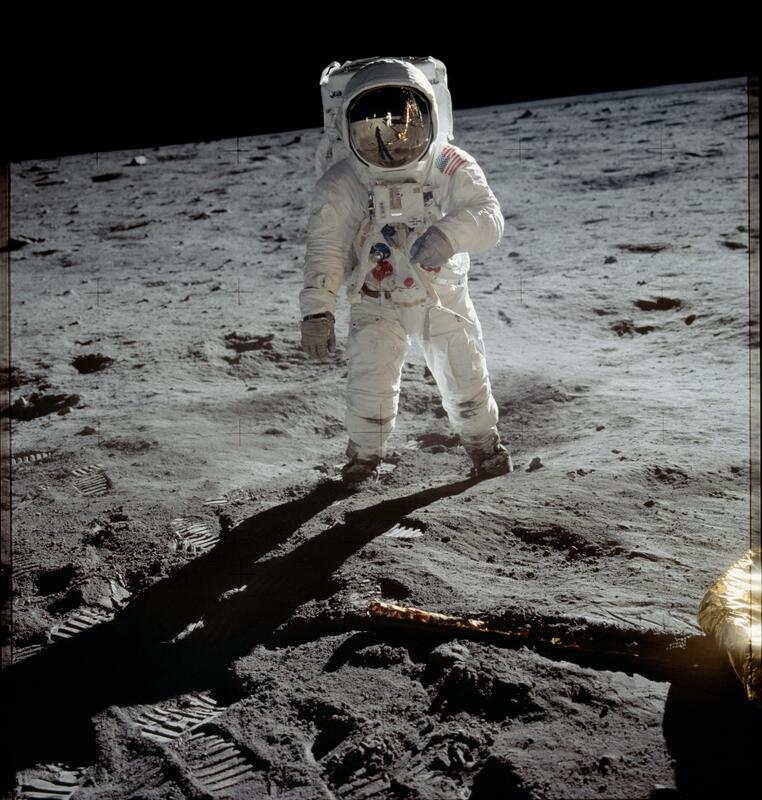 CLICK HERE to view the photo of Buzz Aldrin that fuels speculation by moon landing deniers. CLICK HERE to read more about Queen guitarist (and astrophysicist) Brian May, and his contributions to the recent satellite survey of Pluto.